There is nothing in the world I like better than gathering around a big table with friends to eat food. If that table happens to be outside in a sunny day, all the better. So it was on Easter Sunday that we spent the afternoon on our friend’s porch, eating wonderful food, sipping cool white wine, chatting, laughing and enjoying life. 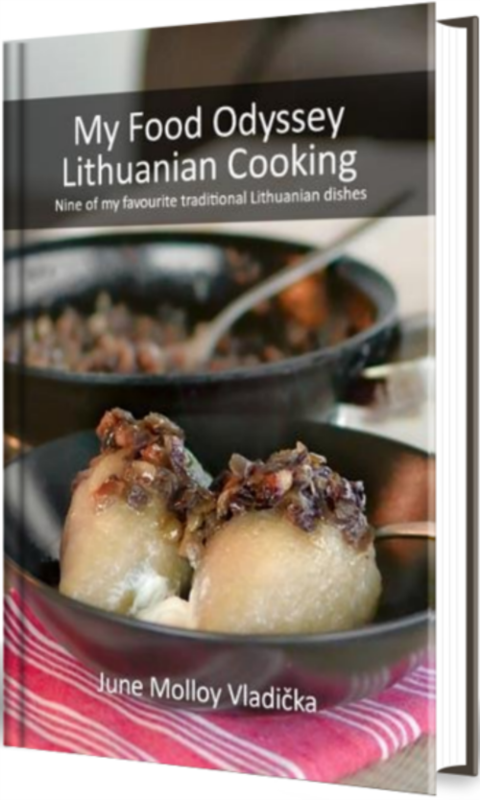 Our friend Sandra had prepared the most enormous spread – home-pressed meats, juicy stuffed meatballs, sesame-coated chicken, crunchy salads, a huge fruit platter and a selection of cakes. Her little girl had hand-made individual Easter cards for everyone at the table. 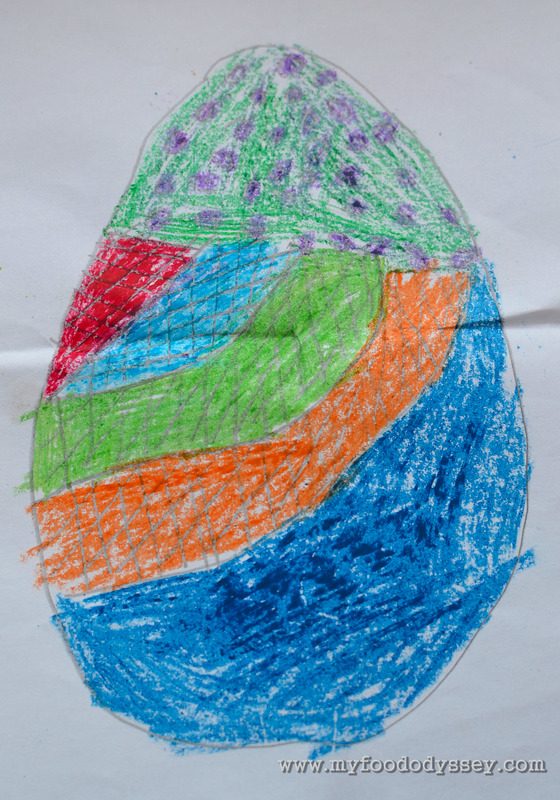 Mine included a wonderfully coloured egg. Sandra hand also hand-painted eggs for the traditional Easter egg bashing. Each person selects an egg and holds it, pointy end upright, in their hand. Another person then bashes their egg top into yours. Whichever does not break wins and goes on to bash the next egg, and so forth. The eggs were so beautifully painted it seemed a shame to break them, but this was what they were for, so we all got bashing. We lingered around the table for a few hours, sipping our drinks and picking at the leftovers. As the sun was shining strongly we initially kept under the shade of the porch. As the afternoon wore on and the heat subsided slightly we ventured out into the garden, taking turns on the swing and racing each other around the house on bikes like we were 10 again. It was all wonderfully relaxing and enjoyable. We decided to chase the slowly setting sun west towards the beach in Palanga. 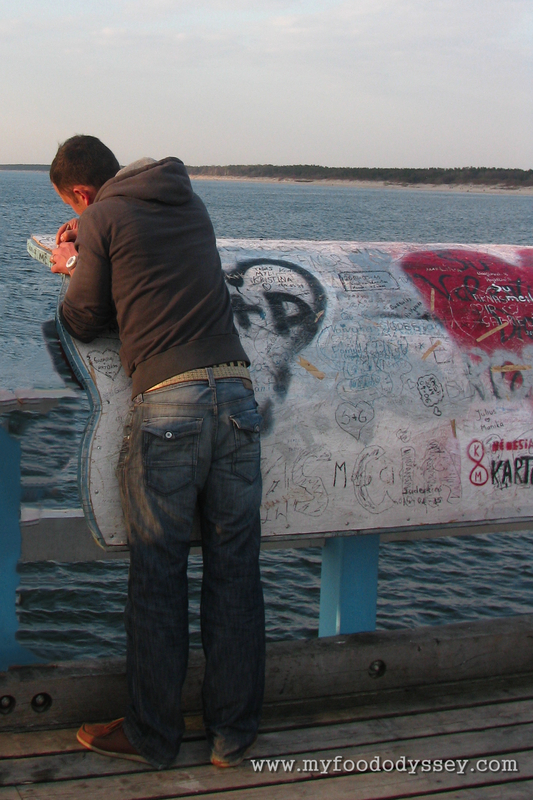 There is always a good atmosphere in Palanga, especially on a sunny Sunday. 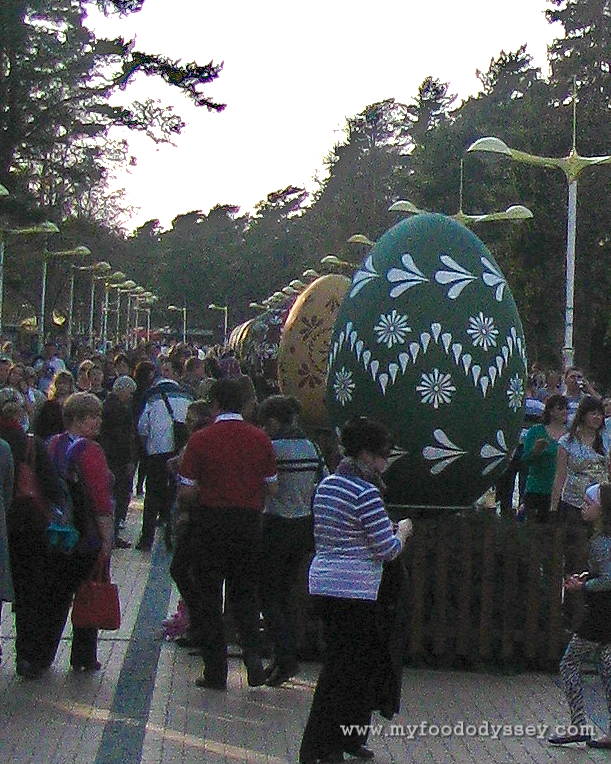 A display of large, decorated eggs had been set up along the main promenade leading down to the beach. 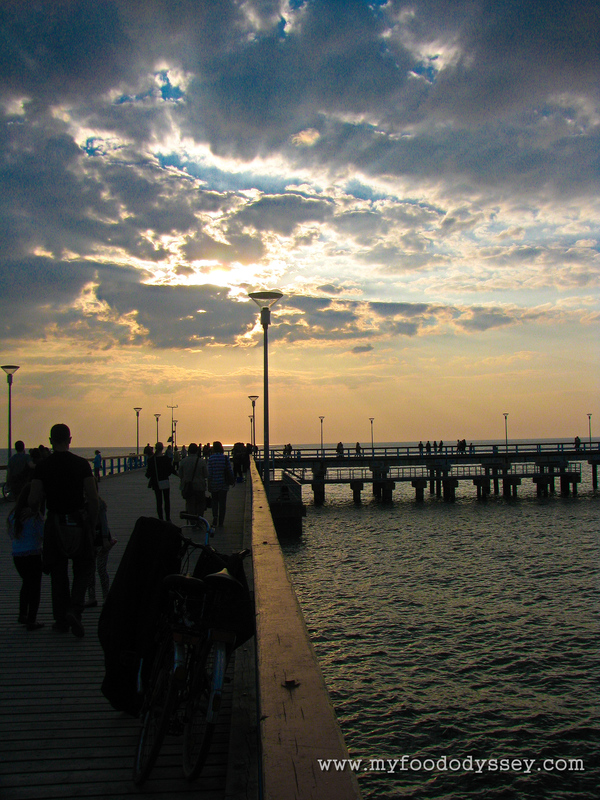 At the shore, couples and families sat on benches looking out at the sea and the beautiful vista of the sun the water. The boardwalk was busy with fishermen who seemed to be hauling in small fish by the dozen. We walked to the end of the boardwalk and threw pennies into the sea while making our own silent wishes. We wrote our names on a graffitied board, then slowly made or way back, reaching our car just as the sun was hitting the horizon. It was a delightful day full of simple pleasures, an Easter Sunday I will remember for many years to come. Sounds idyliic, June. The coast looks a little bit like Curracloe or other east Wexford beaches, too. Great photos! 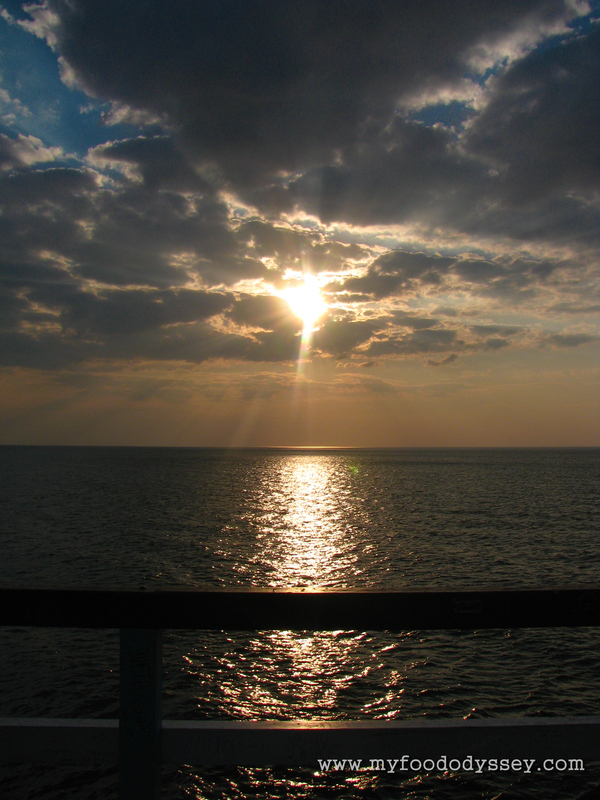 You are lucky to be close to the sea! Thanks Margaret! It’s actually over an hour away, which to a girl who grew up on the coast seems like forever. But I guess it’s not too far, and the travelling makes it feel like a real day out! Cheers! I grew up by the sea and never tire of looking at it. I must have taken a hundred photos!